No longer arming themselves with just clones from more established brands, Chinese manufacturers and the brands they own are looking for a spot in your garage. But how did we get here? What’s with the clones? And most importantly, should you? Chinese motorcycles are a punchline in modern motorcycling. Buyers are often regarded as less than intelligent should they decide to purchase a motorcycle built in China rather than basically anywhere else. Certainly, ask almost anyone who rides a pair of wheels attached to an engine and they’ll say that the Chinese build junk. This has been the general word for decades. The United States may have only started getting Chinese motorcycles in the early 2000s and they really didn’t rise to popularity until 2008, however they’ve been around much longer. This story starts around 1951 or so during the Korean War. The military began a development of the Zundapp K500, a German motorcycle used in World War II. You could sort of say that the Chinese has been cloning and replicating motorcycles from the very beginning. The Chinese development of the K500 was successful and ignited an industry of building motorcycles for the military. For the first couple decades, motorcycles were mainly a device for military use only. Aside from a few exceptions, Chinese continued to build replica motorcycles for decades, often basing their designs on pre and post-war Soviet and German designs. You can still buy these old designs today, nearly perfectly replicated by Chang Jiang. Here is a Chang Jiang M1, a replica of the 1938 BMW R72. Amazingly, these clones are so accurate that owners of the bikes these are built on can often use the parts from these bikes as replacements. And since these bikes have been in production for longer than most of us have been alive, they’ve been found to be pretty reliable even to modern standards. The Chinese didn’t just stop at replicating drool-worthy old German and Soviet bikes. In the 1980s and later they set their sights on Japan. Some of you may be old enough to remember when Japanese products were thought to be as disposable as the Chinese products as today. You didn’t get a “crappy foreign job” unless you couldn’t afford the real deal American metal. This changed as more people bought them and the Japanese further developed their designs. They eventually began taking the world by storm. In the motorcycling world the Japanese plastered bikes like the Kawasaki H2 on many teenage boys’ walls. These bikes weren’t just so fast they earned nicknames like “Widowmaker” and were called evil, but they also were reliable. You could take a Japanese motorcycle on a road trip and be confident that you’d make it home without a breakdown. In America, the wave of fast, cheap, and reliable Japanese motorcycles unseated Harley-Davidson as “the Establishment” of motorcycles in America. China wanted in on the action. While rare to find in the US, in other parts of the world it’s possible to buy a near-perfect Chinese clone of a Japanese motorcycle from three or four decades ago. At first these clones infringed on designs, however as time went on and their respective manufacturers lost the rights to those designs, the Chinese kept cloning. Here are a few of the motorcycles from Jinlun Motor (Cixi Kingring Motorcycle), the same manufacturer that made and imported my 2012 Ruckus clone. Don’t think you’ll find high displacement bikes here. The largest Japanese clones were (and still are) about 650cc and the engines themselves are clones of the original design and...cheapened. Want a Yamaha RD? Qisheng has your back. And do not think for a second that scooters were safe. If anything, the scooters look even more like their original designs since the Chinese essentially copied and sold them as-is. Here’s a Honda Elite that you can still buy brand new today from Zheijiang Tianben Vehicle Industry Co (try putting that long name on a US title). And don’t forget the Honda Helix! This one’s from a firm called Binqi. Unlike the 250cc watercooled CF Moto I want to pick up, this one has to make with only 150cc of aircooled madness despite looking essentially the same. Again, you can buy this 80s design brand new today. The brilliant thing about these clones is that the better ones (not downsized or customized) are so accurate in design that if you do own an original model of these scooters and bikes you could actually buy brand new replacement parts from China and they’ll fit just fine. There are even old Vespas you’ll find still in production in China. Of course, tough luck if your bike is larger than midsize. I bet if one of these companies simply set up shop as a manufacturer of replacement parts for these old machines they’d probably still make a killing supporting motorcycles around the world long after their own manufacturers stopped. I have to continue down the timeline. As the industrialization of China rocketed forward, companies continued to sprout of nowhere and they all wanted to build something. However, these companies began shifting gears and adding a different type of two-wheeler to their ever expansive line of products, the scooter. Here is where manufacturers started experimenting with in-house designs (not clones) and by the turn of the century would turn China into the biggest producer of motorcycles in the world (a trait it maintains to this day). After the turn of the century there were so many companies (about a hundred, if not more) building motorcycles (and many/most of them building the exact same bikes with little variation) and China’s industries themselves were getting better. These companies also began globetrotting and selling their vehicles all over the world. However, the hardest market to break into was the West, specifically the United States. Unlike people in generally poor countries, people in the United States are less willing to deal with machines that require more maintenance or break easily. Despite their super low prices, Chinese bikes in the West nearly immediately earned a reputation for being poorly made and unsafe. Sure, a Chinese Italian scooter clone was a quarter of the price, however it had an eighth of the quality. That began to change as the end of the first decade of the new millennium grew closer. This is about where many Americans start remembering Chinese scooters. While they may have been on our shores as far back as the late 90s, they were practically invisible until 2008. While the many (read: possibly hundreds) of manufacturers were fine with churning out trash, some companies began trying their hardest to undo the damage of China’s earlier years. Possibly one of the most prominent Chinese motorcycle brands in America back then was CF Moto. Indeed, they were selling the same Helix clones as other companies in China, however theirs were a cut above. There are a number of these scooters with impressively high mileage for a scooter (let alone one from China) and their fit and finish - while not as good as Honda’s - could fool you into thinking it came from Japan. They even made a weird sportbike/cruiser thing that looked straight out of a sci-fi movie. South Korea also wanted a piece of this pie and Hyosung’s GV 250 offered a cruiser life for less dough than anyone else. These weren’t bad bikes either. Like South Korean cars of 2008 they weren’t quite on par with the Japanese yet but you could ride one with no shame. Sadly for Hyosung they were (and often still are) lumped in with Chinese bike manufacturers despite their much advanced quality. But ultimately CF Moto’s (and other manufacturers from that time) efforts were in vain. CF Moto was caught cheating emissions by simply not certifying their bikes. They did so much work to improve the image of Chinese bikes, then shot themselves in the foot. Later, coupled to petrol prices that sunk back to a level that justified buying all the trucks, America stopped paying attention. CF Moto would eventually stop selling motorcycles in this country entirely (instead they now sell offroad powersports on four wheels). However, the story doesn’t end here. The future awaits. Fast forward to the modern day and a beautiful thing is happening. As China continues to advance at a rocketing pace, so are their products. While it’s still not hard to find a Ruckus or Grom clone out there like just about anything you can find under the IceBear name like this Maddog, manufacturers are actually invested in being the next big thing in motorcycling. Some more clever manufacturers that want to compete with household names have taken an interesting approach: Buying up or joining with old manufacturers and building their bikes. 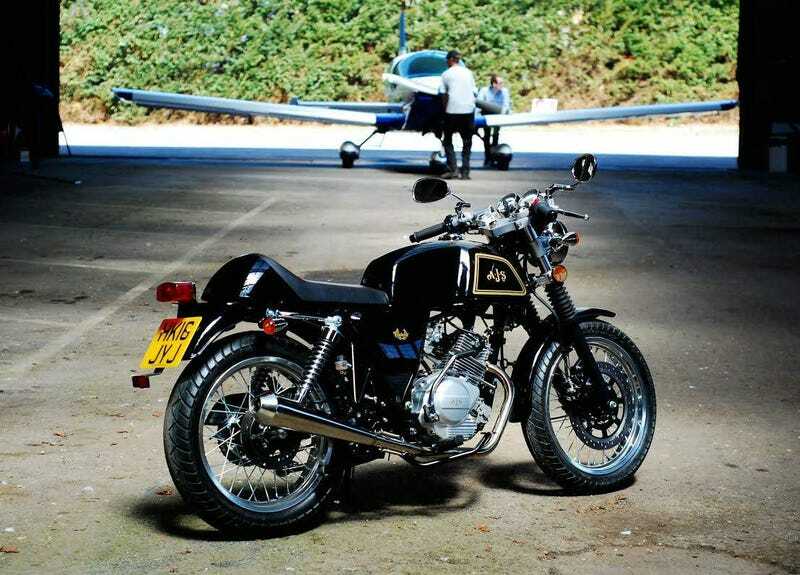 AJS is an old name in British bikes and after production was ended the name was kept alive by China. The Cadwell is little more than a standard 125cc Chinese motorcycle with some customizations and built to much higher standards. Reported by Jalopnik not long ago, Benelli is an Italian firm with beautiful bikes coming out of definitely-not-Italy. The Leoncino is a 500cc v-twin scrambler that I’d love to swing a leg over if they ever get sold in this country. Fast forward to the modern day and a beautiful thing is happening. Some other manufacturers have decided to beat the curse without buying up old names. Taking a few pages from Buell and reportedly improving on them, CF Moto designed a flexible platform from which one could get an adventure bike..
Or something a bit more sporty. And even North American brands are joining in on the fun, like this Venom X22R. Or Cleveland Cycle Werks’ Ace Scrambler. But I know, I know, they have to be unreliable, right? Well, that’s a little complicated. Most of the smaller displacement bikes are dead simple to work on. This woman has never worked on anything with two wheels before, yet in the span of a weekend I’ve learned how to even remove and replace the engine on my Ruckus clone. These things don’t use special tools, they don’t use special parts, and the parts are so cheap they’re generally only a $20-$30 Amazon Prime purchase away from your mailbox tomorrow morning. If anything, a Chinese motorcycle is brilliant to learn wrenching on because of the ease and if anything goes wrong, it’s so crazy cheap to replace anything. The insane ease of these machines makes up for poorer reliability in my mind. 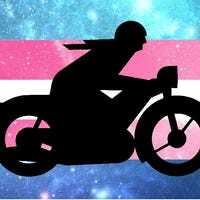 That’s another reason why I simply adore these motorcycles. Their simplicity is absolutely refreshing and I feel it sort of gives them a unique character...Even if they’re always the bad guy. Remember this line from earlier? Well that is the determining factor in if the bike you get will take you a long way or if you’ll break down before you get home. Back in 2008 Mexico was the big boogeyman. People loved to boast how they drove an AMERICAN car and not one of those stupid imports built in Mexico. Such statements confused me as it wasn’t just the imports being built in Mexico; those very cars proudly flying the US flag and “Made In the USA” stickers had them too. Nowadays the boogeyman now lives in China and it’s 2008 all over again. And sure, if this were 2008 it would make sense, however the industry has come so far since the beginnings of this article that major players are building their products in China and shipping them out around the world. There are just under 100,000 Americans driving around a Chinese-built Buick and the owners love them. Shenzhen is its own “Silicon Valley 2.0". And many outlets to this day credit “China’s Apple” Xiaomi for blasting off the no-bezel phone craze. I believe the time has come to stop dismissing everything from China as trash. Rather, instead Chinese goods should be evaluated on a case by case basis. A motorcycle from CF Moto is going to be built completely different than a motorcycle from say, Jinlun. China - almost seemingly taking from the playbooks of Hyosung, Hyundai, and Kia - is advancing so fast that the products of only a decade ago are incomparable to the products being built today. 50 years ago if you told someone you were comparing a Toyota with a Ford you would probably be called insane. Now the Japanese are the standard to beat. Back in 2000 people would have called you insane for cross shopping a Kia with a Toyota, yet today people are doing just that and the Japanese are taking notice. In 2008 if you told someone you were thinking about a Honda or a Hyosung for your 250cc sport bike, you would have been laughed at. Now Hyosung makes the most aggressive looking and fastest 250 on the roads and even show up in comparos with 300s. Indeed, Chinese products are not yet on par with the Japanese or even American competition, but they are very quickly getting there and they can no longer just be ignored or dismissed. One day people will cross shop a Honda with a Chinese motorcycle. However, unlike the aforementioned Japanese and South Korean brands, China has the unique problem of so many different factories and most of them adhering to different standards of quality. Perhaps one day the lower quality bikes would be relegated to the local market, maybe not. I for one am excited to see what China will do in the coming years and take these bikes with an open mind. If you’re still not convinced, that’s okay. This article was - in a way - something for me to tell a little history and to fangirl with. As I further fall down the rabbit hole of loving both old Japanese bikes and new Chinese bikes we’ll see what adventures will come my way. Mercedes is generally known for bludgeoning you over the head with smart cars, however after getting a motorcycle license and learning how cheap motorcycles are on Craigslist, she’s now bludgeoning you over the head with a helmet while on a GL1100. Necessary Trailer Shopping With Mercedes: No More U-Haul!